Typos can occasionally creep into URLs when you enter them into the address bar. 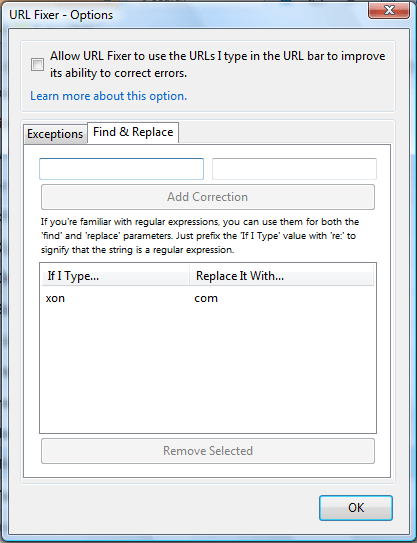 But you can fix URL typos with the URL Fixer extension. That’s an add-on which corrects URL typos entered into the address bar. Open the URL Fixer page  to add it to Firefox. Then enter an invalid URL into the address bar such as www.google.con. Alternatively, you could enter www.googe.com. 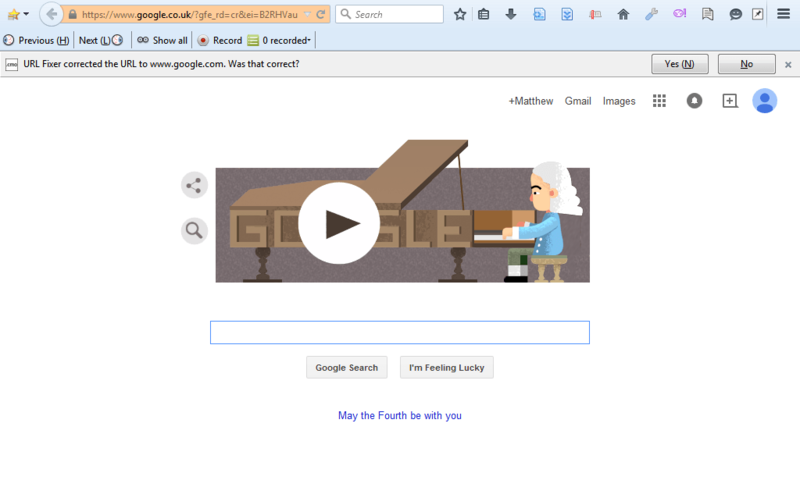 The typo is automatically fixed, and the Google page will open. It will also state that add-on fixed the URL as shown below. Press the Yes button to confirm the page opened. 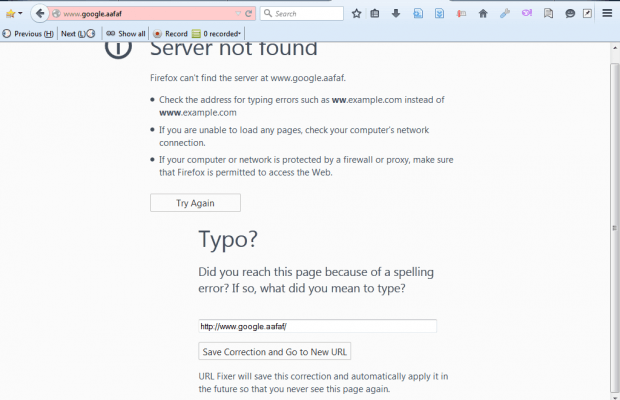 URL Fixer might automatically fix other typos much the same. 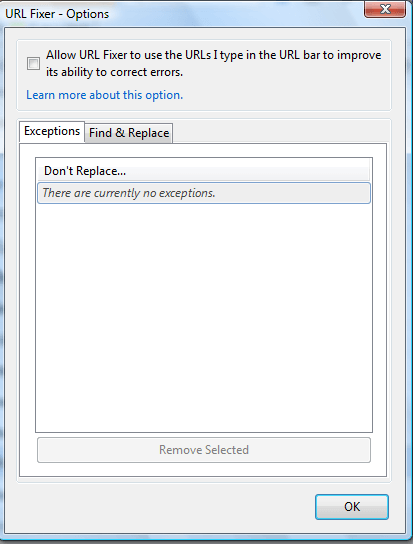 However, it might not fix them unless they added to the list of corrections. You can can add them to the list by selecting Open menu > Add-ons and pressing the Options button. That opens the add-on’s window shown below. Now click the Find and Replace tab on that window as below. There you can specify more specific typos for the add-on to fix. Enter the typo in the right text box. Then enter what that should be replaced with in the left text box. That will save the correction as in the snapshot below. Now enter the typo in the address bar. It should fix the URL much the same as before. If the URL isn’t fixed, the page below opens. There you can now enter the correct URL and save the correction. So with this add-on you can now instantly fix invalid URLs entered into the address bar. Check out the URL Fixer website  for further details.